After years of Windows OS exclusivity, Advanced Micro Devices is opening the door to design chips to run Google's Android and Chrome OS in PCs and tablets. AMD is expanding OS options as it designs chips based on x86 and ARM architecture, which run multiple OSes, said Lisa Su, senior vice president and general manager of global business units at AMD, in an interview at the Computex trade show in Taiwan. AMD is also expanding its custom-chip business, and Android and Chrome OS offer flexibility for third-party chip design and integration, Su said. "We are very committed to Windows 8; we think it's a great operating system, but we also see a market for Android and Chrome developing as well," Su said. AMD previously said it had no interest in Android and that its chips would be exclusively tuned for Microsoft's Windows 8. But now the company will adapt its chips for companies that want to build laptops or tablets with Android or Chrome. "I think Android and Chrome tend to be in the entry form factors -- the tablets, the low-end clamshells," Su said. Su did not comment on when AMD-based Android tablets would reach the market. But the company is working with developers on Android applications for AMD chips. Independent efforts are already under way to bring Android support to AMD-based tablets and PCs. AMD also offers the BlueStacks emulator to run Android apps on Windows PCs. ARM, Intel and MIPS chips are already compatible with Android, though most of the native Android code is written for ARM. Adoption of Windows 8 on tablets has been weak, and Android support could open up a larger market for AMD. 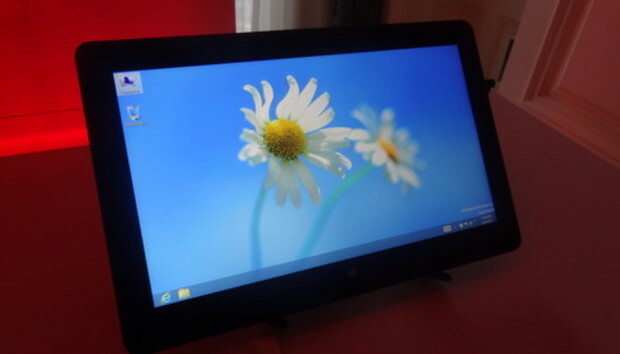 AMD's previous Z-01 and Z-60 tablet chips were used in just a handful of Windows tablets, none of which sold well. AMD hopes to get a fresh start in tablets with the latest chips in the product line code-named Temash, the A4 and A6, which were announced last month. The chips offers power consumption as low as 3.9 watts and battery life up to eight hours while Web browsing. Devices with Temash are expected in the second half of the year, and a prototype tablet from Quanta was shown by AMD at the Computex press conference. The Temash chips are 64-bit and have been designed with Windows 8. The chips are designed to provide PC-like performance on tablets, which is a contrast to Intel's upcoming Bay Trail tablet chips, which focus more on battery life. Temash includes support for DirectX 11, which improves gaming on Windows. The Bay Trail chips will go into Windows 8.1 and Android tablets starting at under US$199.